Iolite is not a real well known gemstone, but they are beautiful. High grade Iolite looks a lot like sapphire but at a fraction of the price. The mineral name is Cordierite. 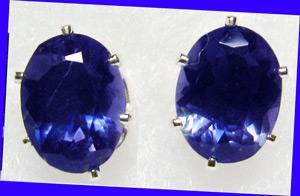 It is also sometimes called "water sapphire"